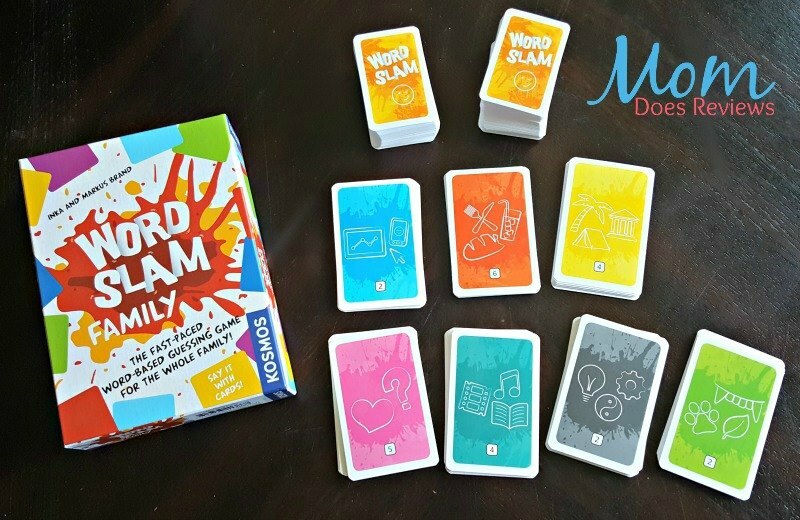 These games sound like they are for adults and older kids--I know I would love to play Word Slam. 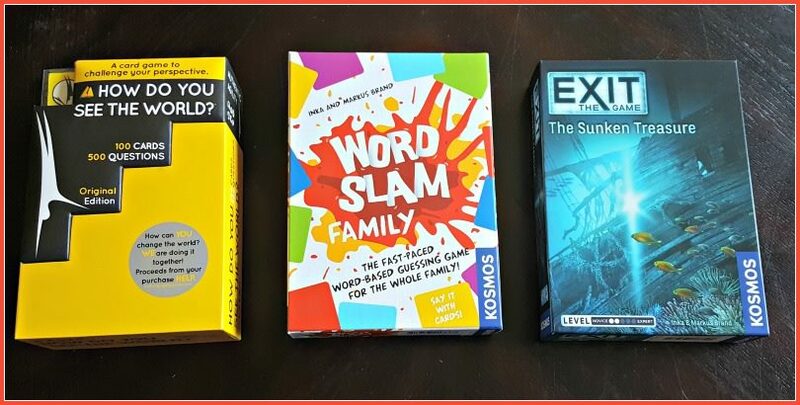 These games might even keep your teens off their electronics and home so that you can have a family game night! They may also be good as a party game for an adult party! 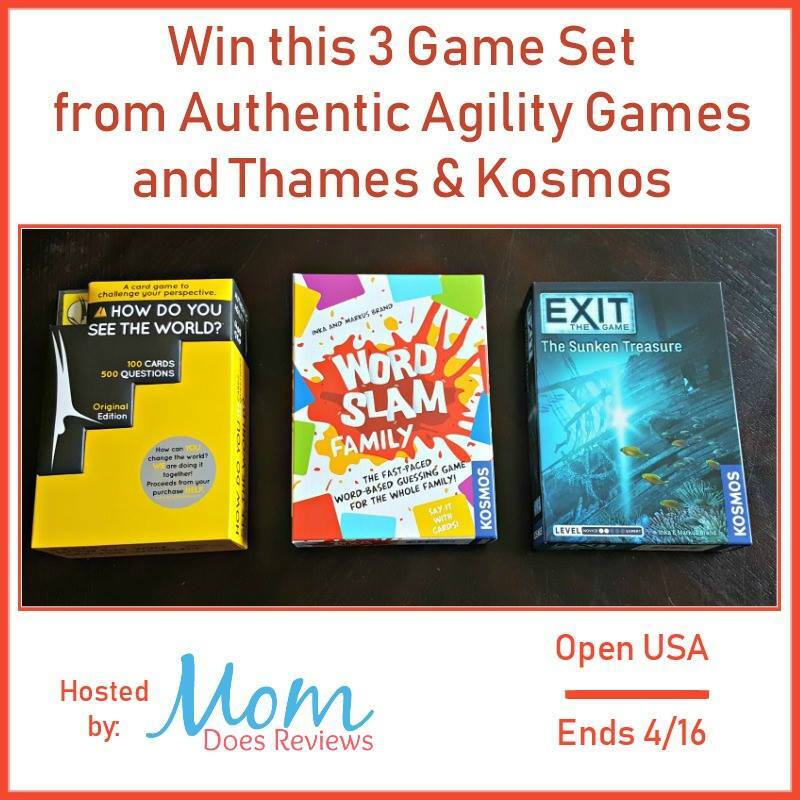 Read the review then enter below. If you like games that make you think a bit--then this would be perfect for you! 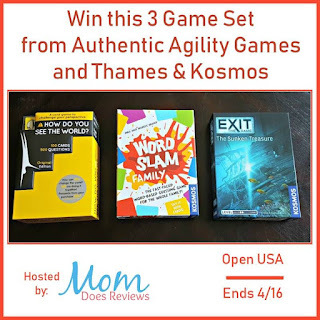 This giveaway is sponsored by Authentic Agility Games and Thames & Kosmos and hosted by Mom Does Reviews. 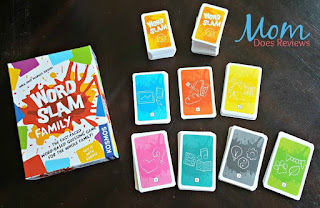 In the family version of Word Slam you will find all the same fast and wild play on words as in the original Word Slam game but in a streamlined, compact format. Get ready for an adventure sailing in dangerous waters. Your mission is to find the legendary treasure of the Santa Maria. While you are scouring the mysterious shipwreck, you realize that you are trapped inside! Will you and your crew be able to solve the riddles left there in order to find your way out? 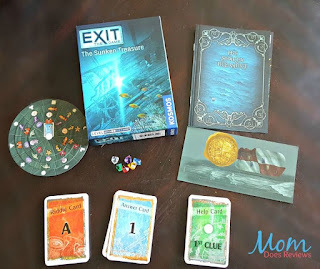 This card game pushes you outside your comfort zone while helping you understand how others view the world. Each player will answer questions on one of five categories: Reflections, Relationships, Aspirations, Life’s Purpose and Beliefs. We enjoy playing euchre and Uno.